When I took my first undergraduate fiction writing class at The University of Kentucky my instructor, Gurney Norman, tried to impress upon myself and the rest of the drifting sophomores that writing wasn’t magical; that it was instead a process of constant addition. He told us about his friend Jack Schaefer, another Wallace Stegner Fellow at Stanford, and how he was compulsive about getting his words each night. Before he would leave his room he had to get his thousand words. The book he was working on a thousand words at a time became the novel Shane. As a writer I’ve always had habits that I warn my students against. I don’t read as widely as I should, something I’m working on, and I tend to be hap-hazard with revisions, which is another thing I’m trying to change. My worst habit though is that I depend on the fever. What I mean by that is my own writing tends to go dormant for months at a time. During this time I’m collecting ideas, writing down dialogue here and there, talking to myself, etc., but I’m not doing the work of putting anything down on paper. This only happens when I feel like I have a head full of story and need to make the voices stop. Then, and sadly only then, can I disappear into a fever of writing. It’s a desperate period of time. Days are spent in a flurry of typing as I try to pull out everything I’ve stuffed in my head and half-remembered, make all the odd edges come together. The fever usually pays off in the end, but the time wasted leaves my creative output a shadow of what it could have been. In On Writing Stephen King states that if you want to be a writer you have to be able to lock yourself away every day, and get down four thousand words. This way you will always have work, even if it is terrible, and therefore promise that at least some of it will, or can be, good. The valleys of time between my fevers are simply reconciled procrastination. I envy the journalist who has to write every day until it becomes so second nature that he or she notices the absent sound of keystrokes the way those from a large city might comment on the lack of ambulance sirens when they go to the woods. I am shamed by the television writer who writes fifty jokes a day before lunch. Whether through dedication or fear they’ve found their practice. 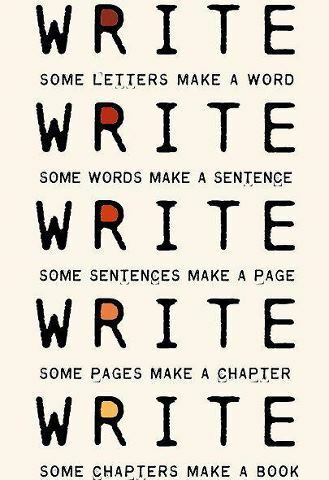 That’s what I want my writing to be, a practice, something I do everyday without thinking about it. I’m coming around as best I can. I’d love to image myself stabbing the keys every night instead of gravitating toward the Kerouac-on-benzedrine race to the finish. This week I’ve made a small step. I’m working on a thousand words a day. It takes about an hour; sometimes less, and sometimes more. Three and a half to four pages a day my new novel is coming to light as crippled and ugly as any first draft. I had never been more jealous, and I hope one day to be able to come close to even just the shadow of such a well-earned failure.